The Animated Voice, available through Amazon.com worldwide. ISBN-13: 978-1683901617242, 242 pp. “You might think that voicing animated characters is a pretty easy gig: go into the studio, affect a goofy voice, spout some silly syllables, and cash your check. But that’s not all, folks. In their own words, and their own voices, the leaders in this field lay bare this anything-but-funny business. 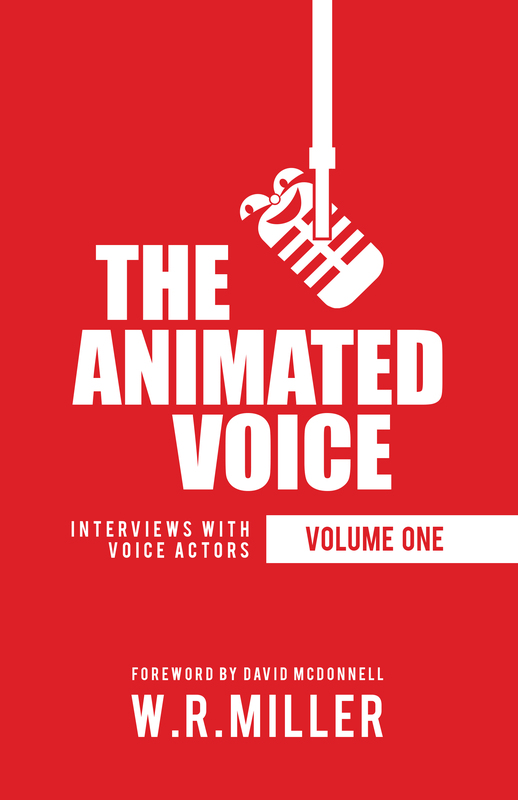 Bob Miller’s new series, The Animated Voice is both a primer for aspiring animated voice actors and a fascinating behind-the-scenes glimpse into this little-known industry for fans. PETE DOCTER, discusses his start in animation, how he auditions and hires voice actors, and his storied career, from voice actor, director, and producer, to chief creative officer of Pixar Animation. MARK EVANIER, whose writing credits include Scooby-Doo, Groo the Wanderer, and most notably, Garfield, chats about his experience as a voice director, and shares his many tricks of the trade. WILL RYAN saddles up to survey his lifetime in the business, starting with Mickey’s Christmas Carol for Disney and continuing with Adventures in Odyssey, Courage the Cowardly Dog, and many others. To conserve print space, we have made their filmographies available at my website, here. At long last, after 41 years of meticulous research, Volume One of The Star Wars Historical Sourcebook is now available to the public, published by Pulp Hero Press (an imprint of Theme Park Press) through Amazon.com worldwide. 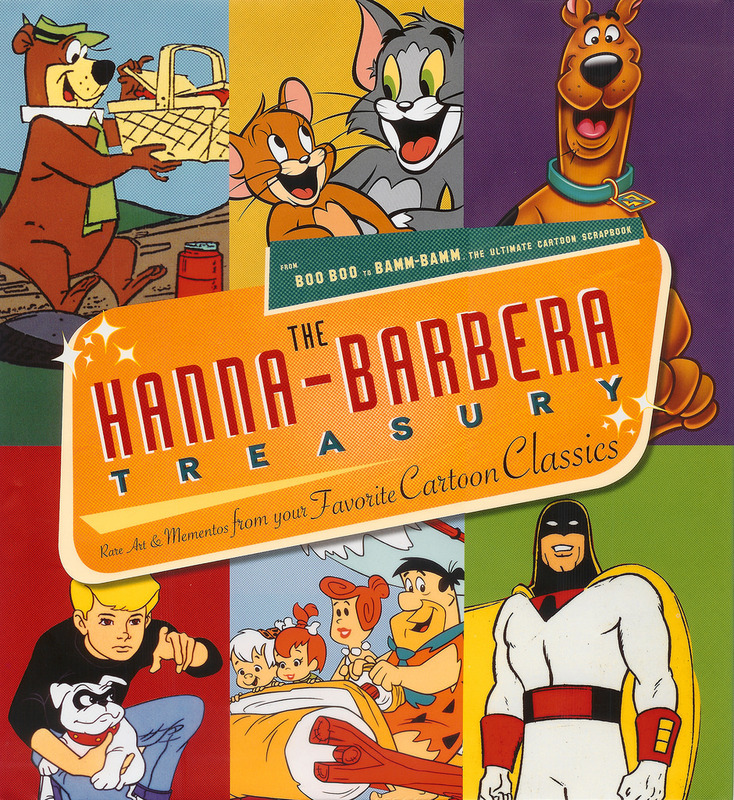 Volume One covers the years 1971 to 1976. ISBN 978-1-6839-0148-8, 396 pp. Bob McLain, the publisher, wrote, “Part narrative, part oral history, part exhaustive reference, the Star Wars Historical Sourcebook draws upon dozens of interviews with Star Wars cast, crew, and the cadre of supporters who promoted the films, wrote the novelizations, and worked behind-the-scenes with George Lucas to bring a galaxy far, far away to a theatre near you. “Miller includes hundreds of excerpts from books, newspaper articles, and magazines, with annotated references, copious notes, and introductory articles for each year. 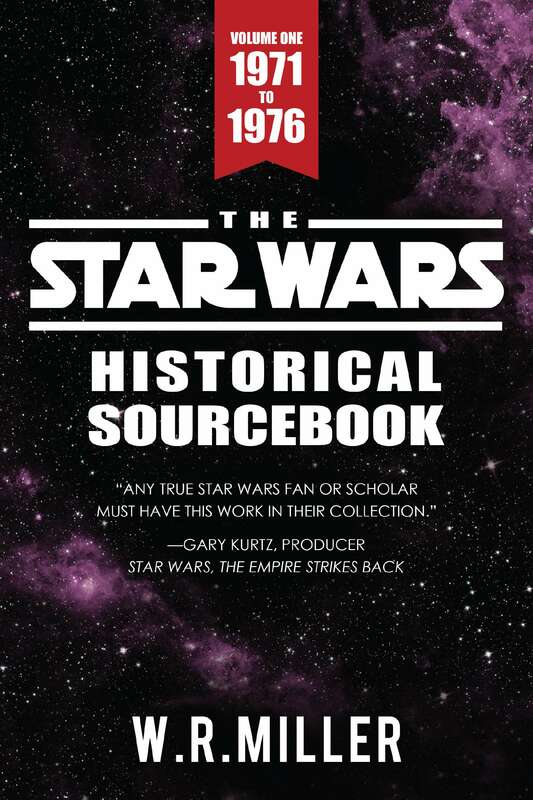 The Star Wars Historical Sourcebook has a Facebook page, which will have updates and allow for feedback from fans and fellow researchers. Please visit! How much do you know about the original Star Wars? 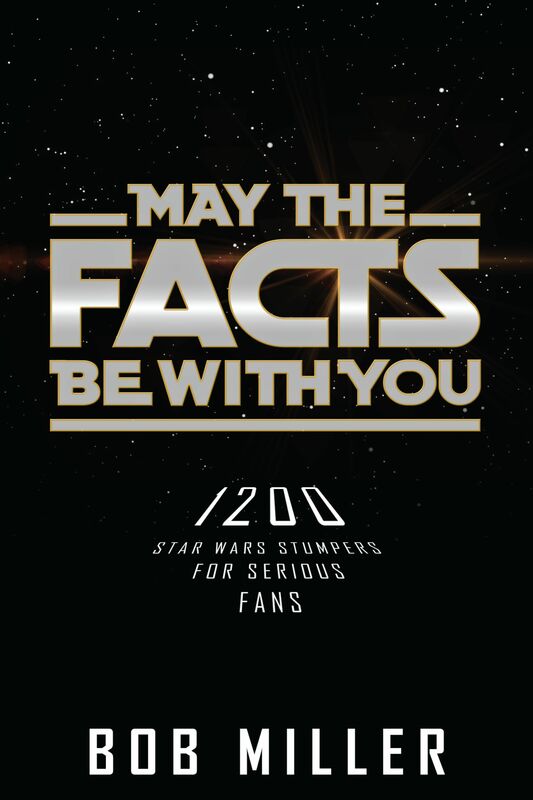 On January 6, 2018, Pulp Hero Press published May the Facts Be with You: 1200 Star Wars Stumpers for Serious Fans. It’s an anti-quiz quiz book covering Star Wars, The Empire Strikes Back, and Return of the Jedi, plus the documentaries, the two Ewoks movies, and cartoons Ewoks and Droids: The Adventures of R2-D2 and C-3PO. It’s available from Amazon here. 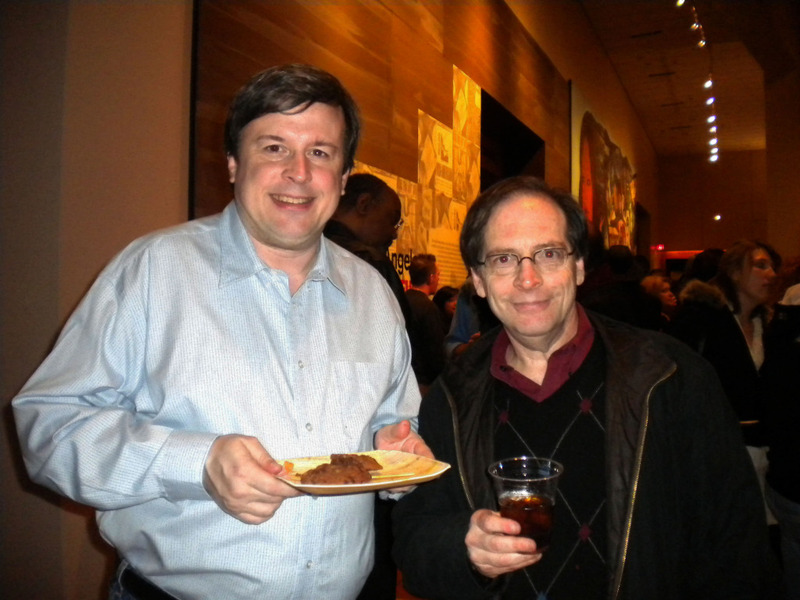 Photo of W.R. Miller and Jerry Beck, at The Animation Guild holiday party, Gene Autrey Museum, January 7, 2011. Photo by Enrique May. 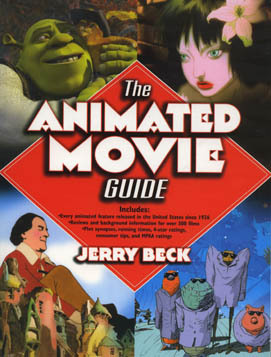 Since I have written numerous animation articles over the years, animation historian Jerry Beck asked me to contribute to two of his books, The Animated Movie Guide and The Hanna-Barbera Treasury. I was honored to do so. I’m currently working on future volumes The Star Wars Historical Sourcebook and several other book projects, details of which will be posted here when ready. Stay ‘tuned!